No matter what your business does, the right blend of indoor signage can have a significant impact. From keeping employees safe to assisting guests in navigating your facility, your business needs indoor signage to keep everything running smoothly. 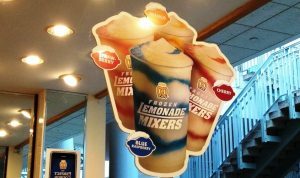 Choosing the best indoor signage blend can present a challenge. 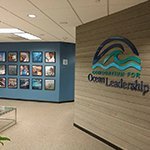 Your business goals, legal requirements, how your customers will navigate and utilize your space, as well as placement, all need to be considered when choosing the right type of signage for your facility. ProSource Signs, Inc. has worked with various industry leaders, giving us a unique insight on how each industry utilizes their space to keep their employees safe and motivated, and how to direct and assist their customers. 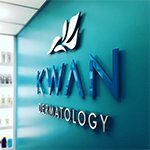 We create impactful signage elements designed specifically for your business, to assist with brand visibility and recognition that presents a professional face and gets your brand remembered for the right reasons. If you aren’t sure what signs you need or are moving to a new location, we can provide on-site evaluations at your facility. This allows our designers to make recommendations to best fit your location and space, assisting customers in navigating your facility and easily find the information they need with minimal assistance. 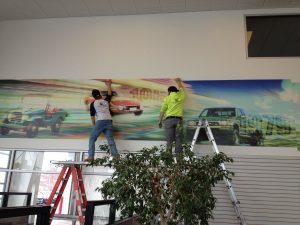 Call ProSource Signs, Inc. at (603) 346-4859 for your Free Consultation with an Indoor Signs Expert! Many companies utilize buildings that house several companies or offices within a single facility. Whether you have many offices or are a single entity within a multi-company complex, the challenge is the same- getting your customers the information they need to get where they need to go. Navigational wayfinding signage can provide directional assistance, leaving the front door associate free to deal with more complex tasks. 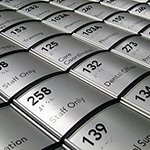 From room identification signs to directories, indoor signage is essential for supporting your customers in navigating your facility. 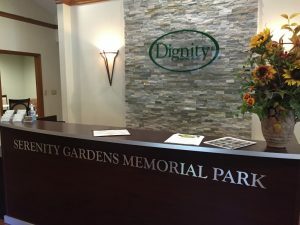 With proper placement, your signs can intuitively lead a customer on their visit, allowing them to find your office or area with minimal support. Indoor signage also provides an ideal branding tool in any office setting. 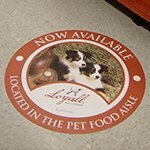 Floor signs, logo signs, wall murals, or any information signs can all be utilized to share information about your business, history, or brand. 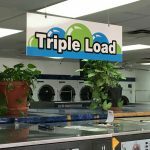 Many companies utilize multiple signage elements to reinforce their message for maximum cohesion throughout their facility. Retail and restaurants often use indoor signage for promotional purposes. This doesn’t mean that your indoor signage can’t also reinforce your brand and support wayfinding as well! 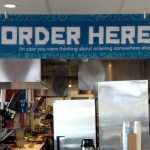 ProSource Signs, Inc. creates impactful menu boards, hanging banners, point-of-purchase signage, product displays, and more to highlight both your products or services as well as your brand and business personality. Our goal is to make it easier for your customers to navigate your facility, finding the products or departments they want, so you can focus on doing what you do best. We craft intuitive signage, meaning that we understand customer expectations and their behavior, allowing us to ensure that you are meeting those expectations every day. Not every business is open to the public, but that doesn’t mean indoor signage doesn’t play a significant role in your facility. When you need to inform your employees about safe work practices or motivate them, ProSource Signs, Inc. can help you create the right signs that do just that! Saftey signs, wall murals, wayfinding signs, and indoor banners all work towards reducing the risk of injury and supporting your business goals. 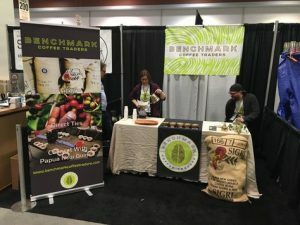 Our mission is to be the signage partner you can depend on for all of your business needs and goals, whether you need a single sign or a blend of cohesive signage elements. Consistency is key to promoting your business name and brand. When you have cohesive indoor signage throughout your facility, you create an environment that builds brand recognition through increased visibility. Your signage solutions can not only improve your business professionalism but also engage your customers and employees, keeping them safe, aware, and informed. 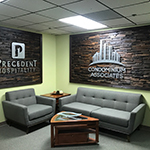 We create beautiful lobby signs, ADA signage, direction signage, point-of-purchase signs, window signs, and indoor signs that will help you reach the brand awareness your company needs to thrive. Are you not sure what your design should look like? With ProSource Signs, Inc., that isn’t a problem! 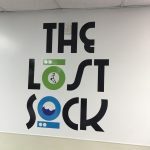 Our experienced graphic designers help you conceptualize the perfect interior signage blend, utilizing your existing fonts, colors, and styles, or creating new guidelines with a style sheet you can use moving forward. 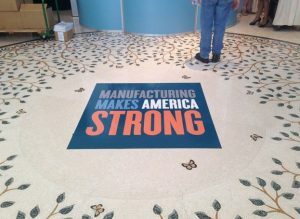 ProSource Signs, Inc. is your complete provider for impactful, cohesive indoor graphics and signs. 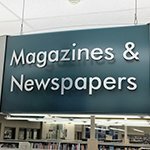 From ADA signs to product displays, we understand the unique needs of different industries. We consider your physical space, brand personality and business goals to craft the right sign for your business. Whether you need an entire collection or a single graphic, ProSource Signs, Inc. will create it for you! Every sign we produce is made from high-quality, attractive, environmentally-friendly products. We produce signs that you will be proud to have representing your brand. 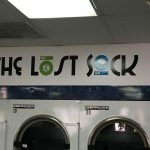 We also craft outdoor signs, vehicle wraps, vinyl signs, and any other custom signs or business signs you need for a complete, cohesive brand message. ProSource Signs, Inc. is a full-service signage shop, meaning we handle every aspect of your signage project from design to installation and everything in between. With us, you won’t have to get your designs in one place, fabrication in another, and installation from a different company. We do everything right here at our local Derry sign manufacturing facility. 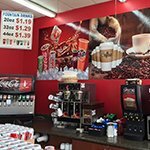 We start with a free consultation where we take your ideas, goals, location, space and needs to create a “mock-up” of what your final signage product will look like in your space. 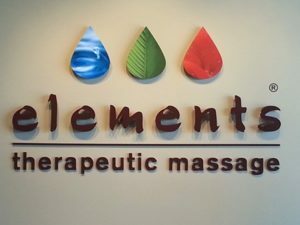 This allows us to ensure that your sign looks exactly as you desire, and provides you an opportunity to change anything from size, font, colors and even materials to better fit your brand. Once you have approved your final sign design, we move onto the fabrication phase. Our expert fabricators use state-of-the-art machinery and materials to build your indoor signs and banners. Each sign is inspected thoroughly to ensure that it meets both our standards and yours. Finally, we move onto the installation phase of your signage project. Depending on the size and complexity of your signage project, your sign can be either self-installed or professionally installed. For the larger signage projects, we recommend that our professional installation team take the burden of installing your signage project from you. Our installation team will ensure that your signage elements are correctly installed, perfectly aligned and are free of any warps, bubbles, and tears, giving you that professional look you’ve always wanted. Our company mission is to provide you with excellent customer support and superior signage solutions. Our dedicated, experienced team is ready to craft all of the indoor signage solutions your business needs to grow! When you need a signage partner you can trust, look no further than ProSource Signs, Inc.. Call ProSource Signs, Inc. at (603) 346-4859 for your Free Consultation with an Indoor Signs Specialist! We will certainly call him for any future signage needs. Pro Source signs has treated me very well.